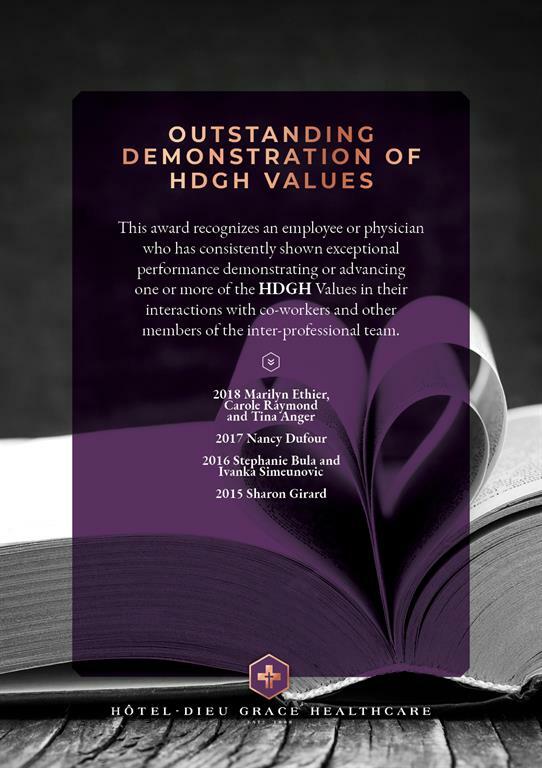 For more than 130 years, Hôtel-Dieu Grace Healthcare (HDGH) has been changing lives! 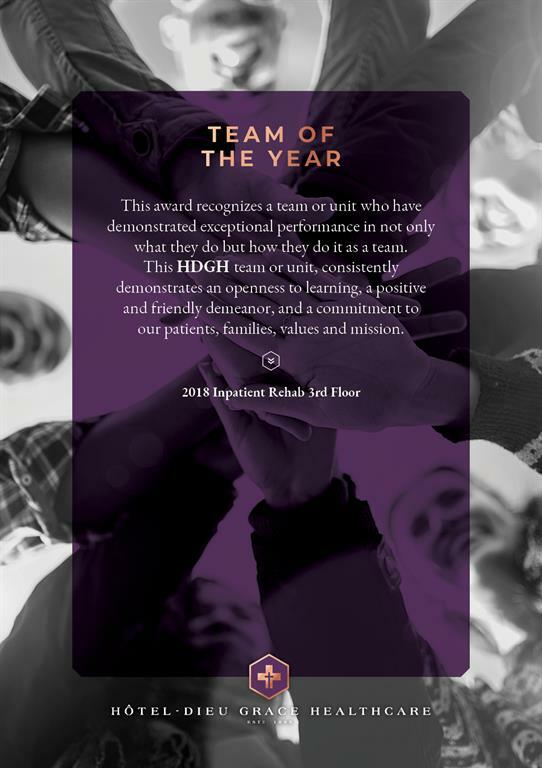 We believe that the foundation of a great organization is an employee group that understands the importance of what they do and how they do it. 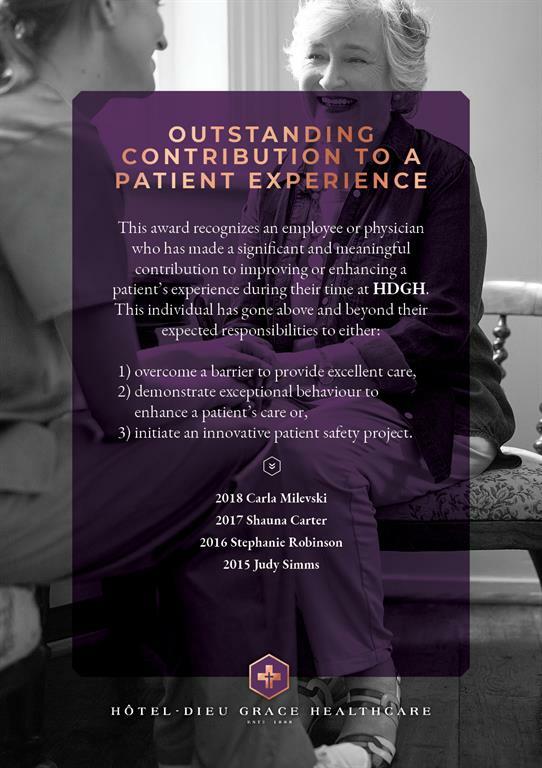 HDGH is committed to OUR PEOPLE and ensuring that we communicate and recognize the great work each and every one of you do. 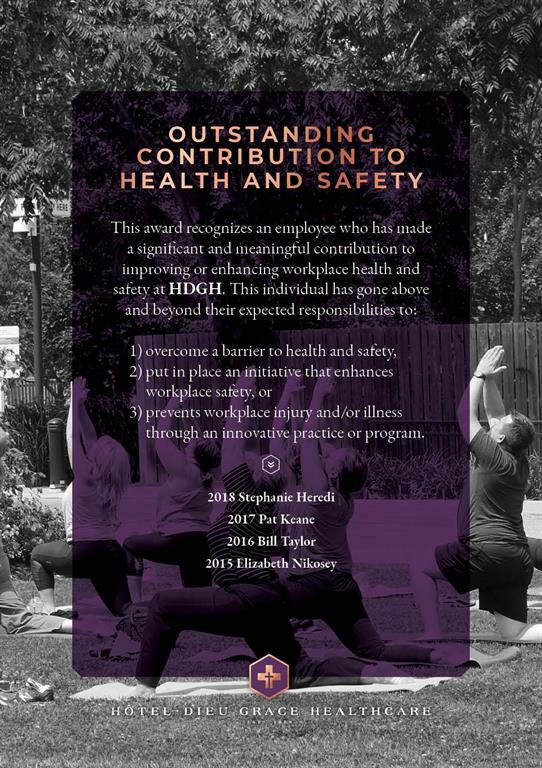 As one of our three strategic drivers, the development, health and safety of OUR PEOPLE is always a priority throughout our organization. 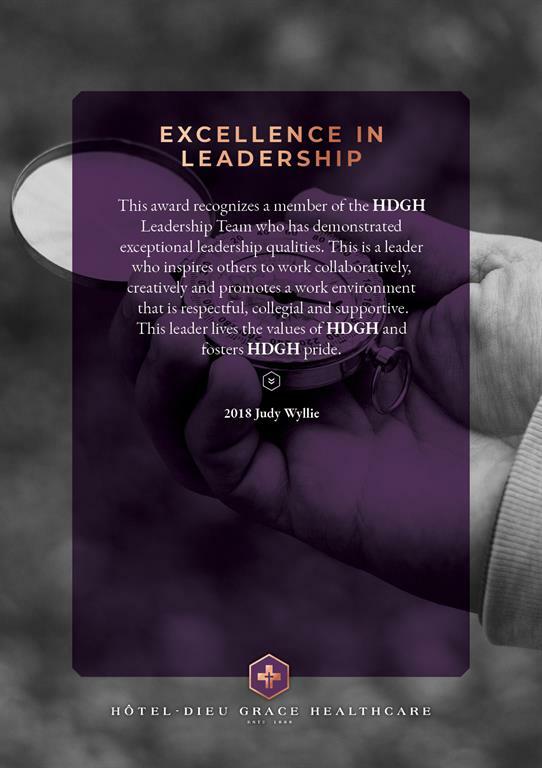 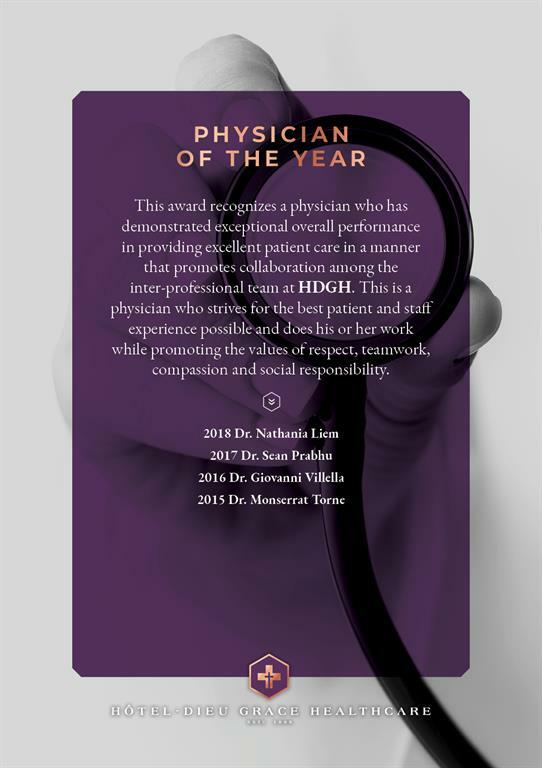 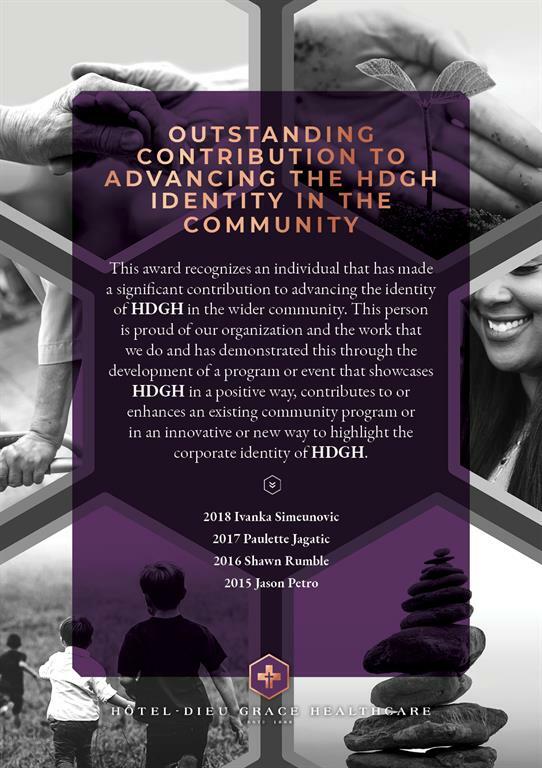 As part of this, we would like to introduce to you a HDGH Recognition Program that is authentic and allows us to reward the work that furthers the mission, vision, values and strategy of our organization.